Love hauling the biggest fish underwater? Then, fishing Kayak is what you to need! Fishing Kayaks are one of the hottest tools in the fishing industry. Not only they make your water time exciting and thrilling, but they also keep you safe on the water. 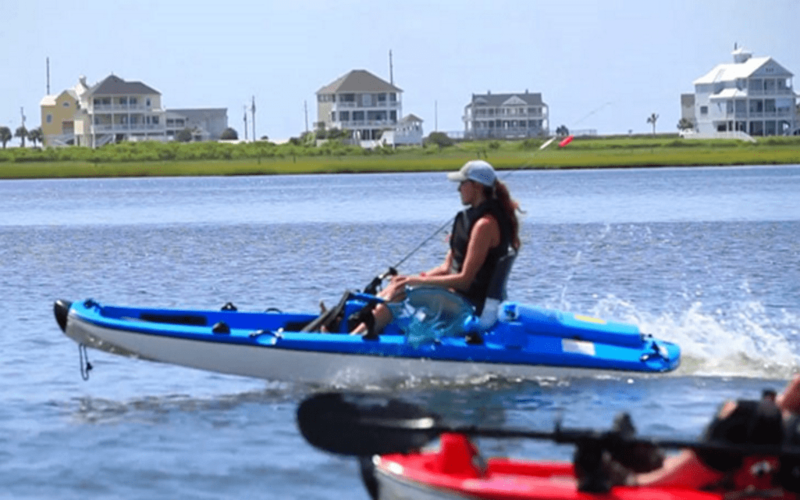 Due to its major sporting goods and broad appeal, it has been used as a means of transportation to approach soaked fish like flounder and cobia. Furthermore, Kayaks are portable and are more stable than canoes. They are affordable and are quite powerful fishing boats. Plus, you can even them in urban areas for small-water fishing. Where and how you are going to use this? Are you fishing at small water bodies like ponds or lakes? Do you have plans to be at water bodies that are prone to winds and waves? What will be the temperature where will be taking your Kayak? Is your Kayak responsive and fast? Are you looking for the stable one that is difficult to tip? 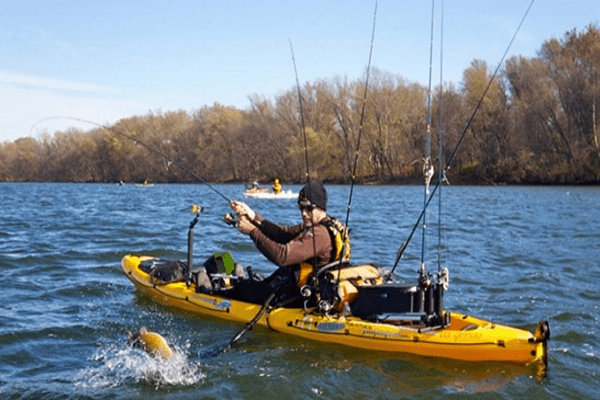 Before choosing the best fishing kayak, you need to look where you are going to fish, whether it’s saltwater or large lakes. Or you are going to fish in farm pond, warm water, cold water, offshore, or slow-moving water. You can even look for the one that solves multiple purposes if you have plans to fish in more than one water bodies. Moreover, if you are fishing alone, the one-person kayak will suit you; however, if you like being in the water with family, the two-person kayak is the best. The length of the kayak has a huge impact on its performance in the water, so consider that first. Shorter kayaks are easy to control. However, the longer ones are faster. If you have plans of fishing in local waters or small ponds, the small ones is that one you should go for, but if you are fishing in big lakes or oceans, the longer (12-feet) will be perfect for you. Design is another factor to consider before choosing a kayak. Wider ones offer good stability than the narrow ones, and the longer kayaks feature paddlers for fast speed. You can also look for the kayaks that offer high performance in waves and currents than the flat ones. Fishers mostly need yak that has enough room for all necessities. While some models have inbuilt storage capacities, some have areas that are specified for things like coolers and crates. Also, sit-in models have more open space for keeping gear, sit-on features molded internal hatches. So, make a list of the things you are going to carry at fishing and then choose your kayak. Kayaks mostly are of two types: one allows you to be on the top while other offers you to be inside the kayak. Also, the sit-in kayaks provide wider cockpit and are more stable than its counter once. However, the sit-on-top is more prone to anglers as they allow smooth moments in water. If you explore waters a lot, keeping electronics is something you want in your kayak. While many top fishing kayaks are designed in a way to provide room for electronics, traditional models perhaps don’t have. If you do fishing at oceans and lakes, electric is a must to keep fish and other stuff, however, if you are fishing locals, you can skip it. Keel is a fin-shaped plastic piece that sticks at the base of the kayak to improve tracking and speed. While some have integrated kneels, some kayaks come with retractable keels. Go with a kneel, if you have plans to be in deep waters as it will make you an efficient paddler. If you fish in backwaters or in open waters, adding an electronic anchoring system will benefit you. They will add weight to the kayak but are of no use for the anglers that like to drift. Look for the kayak that offers comfortable seating for the longer water staying. Also, your kayak should have multiple rod holders or has any provision to install the holders to provide convenience at the time of fishing. When purchasing, always consider the top models as they have everything that fulfills your needs. The secret to choosing the best fishing kayak begins with knowing what exactly you want. Once you know your preferences, you will get the one with ease. Don’t get snacked on random things, just consider features that will make your fishing experience amazing.